Nwave proudly introduces Secure Driver Identification (SDI), providing a fast, accurate, and secure way of identifying drivers as they park. 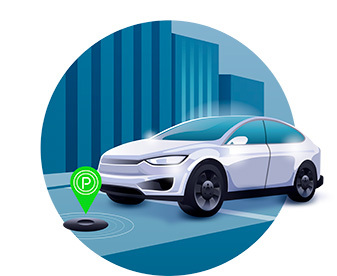 Leveraging the latest advances in wireless technology and data analytics, Nwave continues to create new Intelligent Mobility and Parking value with patent pending innovative technologies. The new SDI dataset compliments Nwave’s well established Parking Occupancy dataset that provides per-space parking data and rich analytics, enabling a new generation of applications delivering breakthrough user experiences and unparalleled management tools and efficiency. Nwave provides parking space occupancy status, wayfinding to the closest space to the drivers’ destination and secure in car payments. 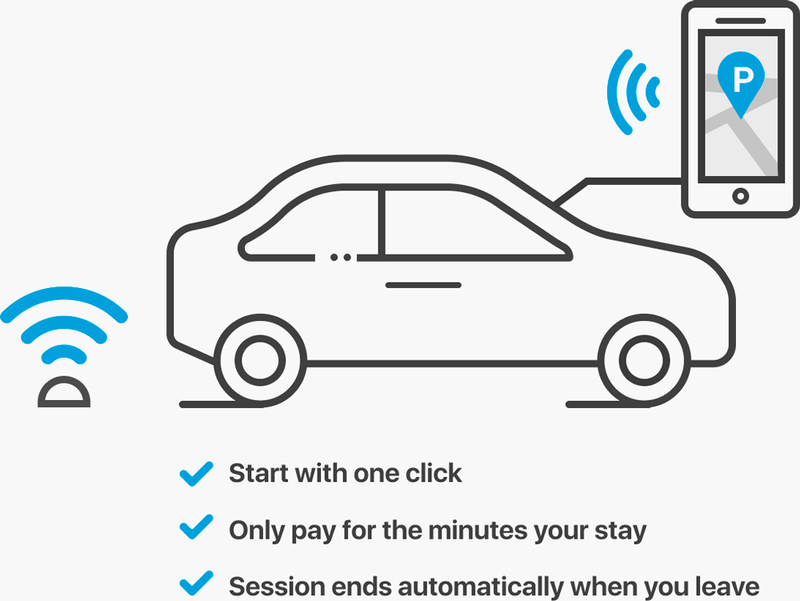 This gives drivers the ability to quickly find parking and make secure payments from the comfort and safety of their car. The same data sets give parking operators the ability to better and more easily manage all aspects of their parking assets. Nwave creates the ultimate solution for both driver and parking asset manager. Remember the last time you were looking for parking and time was short? Now think of the simplicity of starting an Nwave powered Application on your smartphone and picking the spot closest to your destination. The App provides turn-by-turn directions to the space closest to your destination. The same data sets give parking operators the ability to better and more easily manage all aspects of their parking assets. Nwave creates the ultimate solution for both driver and parking asset manager. Behind the scene, Nwave’s parking sensors securely captures and transmits the driver’s ID from the mobile app. This information, along with the sensor’s location, is sent to the Cloud for payment processing. Receipt of payment is sent back to the driver’s mobile app and/or the driver’s payment account. Nwave additionally offers a fully automated and secure driver identification and payment process through the use of a convenient key fob for frequent parkers, students, teachers, employees and others. 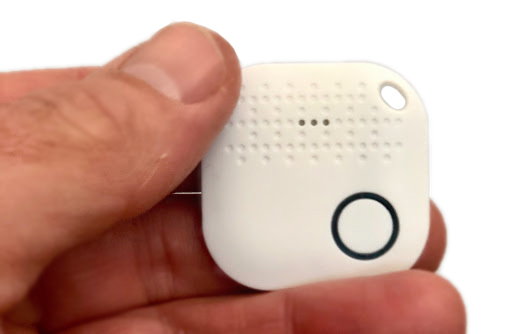 The key fob enables secure automatic identification and payment without using a mobile phone app. Just “Park and Go!”. Behind the scene, Nwave’s parking sensor securely captures and transmits the driver’s ID from the key fob. This information, along with the sensor’s location, is sent to the Cloud for payment processing. Receipt of payment is sent back to the driver’s mobile app and/or the driver’s payment account. Parking Operators can now leverage new data powered tools engineered to manage parking revenue leakage, robust analytics to understand usage for better pricing and overall management, and automated enforcement alerts to reduce labor costs. 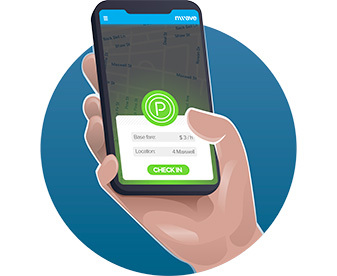 The location of parking infractions, such as non-payment and overstay violations, are sent to parking enforcement officer’s smart devices with Nwave’s Automated Violation Alerting (AVA). With this, automated alerts can be delivered to parking enforcement officers as violations occur. Nwave’s Secure Driver Identification pushes the value and benefits boundaries for parking management to new levels with an Industry first; Dynamically Configurable Designations (DCD). Designations for parking spaces and locations with Nwave sensors installed can be changed as demand requires. Designations can include: reserved, VIP, visitors, expectant mothers, Uber and Lyft drop-off & pickup, car wash, special events and more. Nwave’s Secure Driver Identification pushes the value and benefits boundaries for parking management to new levels with an Industry First Dynamically Configurable Designations (DCD). The Nwave generated designations can be linked to modifiable sign coverings or digital signage to indicate the parking space designation. For example, if there are more expectant mothers in a building parking can be changed to accommodate them or visiting customers could be greeted with their own personalized parking space. Nwave datasets are sent to the Cloud for storage and analysis. Parking Operators can utilize Nwave Cloud Analytics to more intelligently understand their business. Another reason to partner with the industry leader, Nwave. An increasingly growing set of companies struggle to meet municipality requirements of daily Single Occupancy Vehicles (SOV) limits. In addition, municipalities are reducing the number of parking spaces for new building construction, limiting the supply of parking spaces. Nwave’s DCD technology can be utilized to create carpool specific parking and communicate with digital signage to indicate the parking designation such as carpool vans, carpool cars, mass transit shuttles pick-up/drop-off, Uber/Lyft access areas, etc. 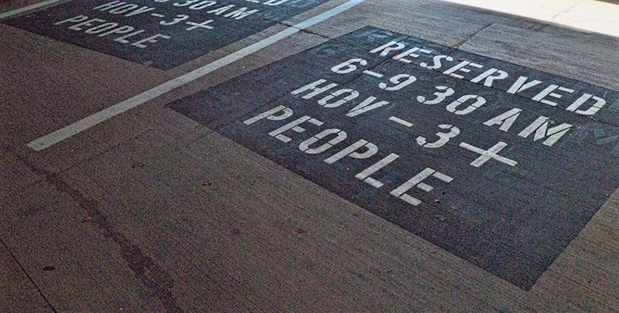 As parking space supply becomes limited, it is necessary to control parking demand to balance the equation. 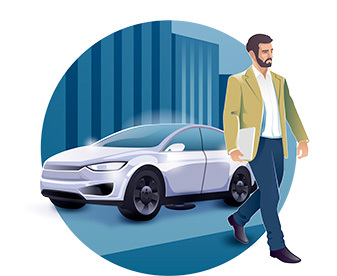 By controlling the parking demand, companies can better direct commuters to carpooling and alternative transportation methods. This problem is solved for companies that install a Nwave Parking System through a Nwave powered mobile App or Nwave key fobs to employees who get to work in their own car. Carpooling can be verified with multiple employees in a car being detected by the Nwave system. Ready to try out Nwave’s parking demand management solution? Nwave innovation continues to lead the mobility and parking industry with the newly announced Secure Driver Identification (SDI). SDI uniquely places Nwave at the top of the list as it introduces a multitude of new services and alternatives for Parking Operators through intelligent automation. Nwave’s breakthrough Accurate Parking Occupancy (APO) started the journey and now coupled with SDI, we are creating new value propositions never before possible. Nwave technology developments have optimized both the Driver experience and Parking Operator efficiencies alike. Nwave has the Parking Operator in focus. We developed future-proof tools that are programmable through APIs, dynamically configurable and intelligently automated to support a fast changing mobility world. With Nwave technology, Parking Operators are now equipped with the accurate data to take on the ever changing challenges in the parking industry. Welcome to the Nwave Empowered Smart Parking World!